Welcome to Petros and the Cross Keys Nafferton, a family-run gastro pub in a beautiful part of East Yorkshire. Situated in the heart of the village, at the foot of the Yorkshire Wolds just off the A614 between Bridlington and Driffield. The next monthly Quiz Night is on 18th April. Winning team gets £20 worth of drinks vouchers. The Nafferton Acoustic Group meets at Petros & The Cross Keys usually every other Thursday. Come and taste the latest additions to our gintastic range of gins - Bring it on Gin Lovers! Please see our Drinks page for details. A traditional village pub with a separate contemporary restaurant. The wood panelled bar is a central focus for the pub. The real fire in the main bar offers a cosy welcome during the Winter and outside there is a small courtyard, which has been nicely done up with picnic tables for you to enjoy Summer outdoor eating and drinking. We have both worked in hospitality for some years, Petros as a restaurant manager and Jackie as an air stewardess. Then in 2009 we decided to open Petros and the Cross Keys. Petros and the Cross Keys is open every day and we serve food Monday and Wednesday to Sunday. Please see our opening and food serving times for details. The home-cooked, locally sourced food we serve is an interesting combination of Mediterranean and traditional pub dishes, including Sunday roasts. The Mediterranean twist comes from Petros who is Greek. Our à la carte menu changes regularly and includes pub favourites like steak & ale pie alongside Greek specialities like Keftedes. While our Head Chef John, adds his own twist with daily specials. Please see our Food page for details. 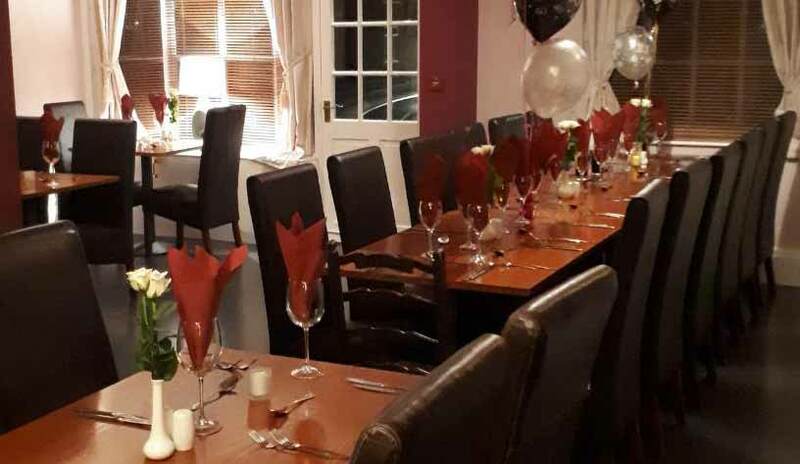 For larger groups and parties we are more than happy to devise a set menu just for you. We serve 2 hand-pumped beers Ruddles Best & local brew Wold Top Brewery's Wold Gold, as well as guest beers and various premium lagers and ciders. We have a good selection of wines and serve our house wines by the glass to accompany your meal or just enjoy. We hold a regular Quiz Night on the last Thursday of the month with a great prize for the winning team. Plus we have other fun events throughout the year, so please visit the site regularly to see what's coming up next. This area of East Yorkshire and the Yorkshire Wolds is a beautiful area for walking and cycling. We are right on the route of the Way of the Roses, a fantastic coast to coast cycle route from Morecambe to Bridlington. So if you are intending to cycle the route, why not plan in a break at the Cross Keys Nafferton and enjoy some welcome refreshment? For more details please take a look at our Local area page. Nafferton itself has plenty of interesting places to visit, like the mere and 11th century All Saints Church. Close by are the historic market towns of Driffield and Beverley, the seaside resort of Bridlington and the Elizabethan Burton Agnes Hall. Whether you are local to the area or just visiting, we look forward to welcoming you at Petros and the Cross Keys.